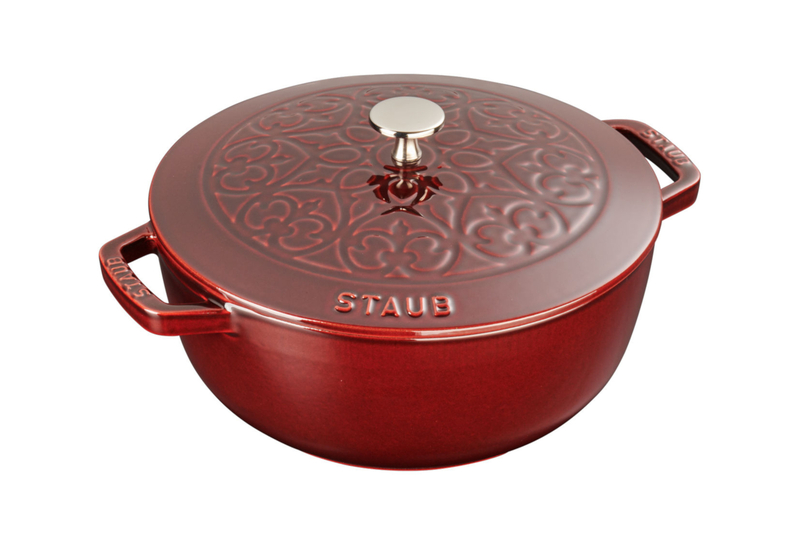 The new Staub 3¾ Essential French Oven with Fleur De Lis Lid adds elegance to your table. 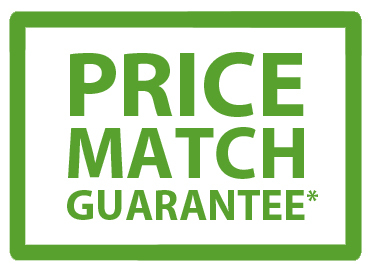 Ideal for slow cooked stews and soups, casseroles, and roasted meats, as well as many other one-pot meals. The lid features the same striking fleur-de-lis, heart, and flower motif of the popular Lilly trivet. The debossed design has an appealing HI/LO effect thanks to the gorgeous Majolica enameling, a special, three-step technique that imbues the color with brilliance and depth. This collectible cast iron piece compliments the current Staub assortment and can be lovingly passed down from generation to generation. Lid's self-basting Chistera spikes create continuous condensation for flavor-enhanced food. Textured black matte enamel interior ensures exceptional browning. Enameled cast iron is easy to clean and doesn't require seasoning. Durable cast iron construction boasts incredible heat retention and distribution. Colorful enamel finish will not chip, crack or rust. Vivid three-step Majolica enameling imbues color with brilliance and depth. Easy-to-grip handles offer maximum maneuverability. For best results use low to medium heat. Dimensions: 9½ inches diameter x 5 inches deep; with the handles: 12 inches. Weight: 10 lbs. 3 ounces. Oven and broiler safe up to 500°F. Dishwasher safe, but hand-washing recommended. For best results, use low to medium heat when cooking. Gently pre-heat your Staub cookware on a low setting for 2 to 3 minutes before adding oil or liquid to the pan. Do not slide pan on glass stove top.